I once planted two trees in my yard. The first was a peach tree, given to me when it looked like a frail twig: a thin trunk with a small bulb on the end. We lovingly dug a hole, mixed the existing soil with some soil bought at Home Depot, and watered it. It was during a draught when we planted, so I set a reminder on my phone each evening to go out and shower it with the garden hose if it hadn’t rained recently. Not long thereafter, we planted the second tree: a red maple. The back yard needed some shade and I knew it would take time to grow, but I still wanted to put the tree there where the sun shone the greatest in the evening. We did the same with this tree, mixing the top soil with soil from Home Depot, watering it regularly, taking good care of both trees. Over the course of the next several years, the peach tree grew tremendously. The maple tree struggled mightily. I did all I could for the maple tree. It managed to eke out an existence, but it didn’t thrive like the peach tree did. I surmised several reasons for this, but the fact remained: I’d done even more for the maple tree than the peach tree, but it was the peach tree that grew the best. It was a tale of two trees. The tree farmer in our parable this morning knows a similar story: he has a tale of two trees. He’s got a farm of fig trees and one, stubbornly, will not produce fruit. He has given it extra attention for, probably, eight years. Land, and figs, are valuable, so the farmer decides it’s time to uproot it and plant another. This tree just will not offer fruit, unlike all the others on his property that grow, producing fruit. One grows, prospers, produces fruit as it should. The other does not. One needs less attention, the other more. The gardener makes the argument to give it one more year after giving it extra attention by placing good manure around it. The people would have heard this word and realized that it, unlike our vulgar term, was very similar to words commonly used by people to reference those they considered to be stinkers, dirty fellows, buffoons; people we might call good for nothings. When they hear the word, it means more than just manure: it refers also to people they might look down upon, people to whom the audience would feel superior if, for no other reason, than the fact that they, members of Jesus’s audience, have their life together. For this is the presenting problem. In the verses leading up to this parable, Jesus is bombarded with questions about who the greater sinners are. Who is more in need of repentance, Jesus? The evil Romans? Pontius Pilate? The people who brought a tower down on their own heads by their recklessness? Those crazy Galileans? Who’s the bigger sinner? Who needs more repentance? We’ve all asked similar questions, if not in quite the same way. Certainly we’re not the kind of sinners that people who cheat and steal are, unless, of course, we’ve done those sins. We’re not the kind sinners that kill people, commit violent acts, launder money, or do other terrible things. We’re not those kind of people. They’re the ones in bigger need of repentance. We’re not like those strung out on drugs, not like those who are controlled by addictions of many kinds. We haven’t thrown away our lives, found ourselves homeless, wasted our family’s fortunes. We’re not like those people. This is what the crowd is saying to Jesus. For questions of who the bigger sinner is are really questions trying to justify that we are not as bad as other people. Check us out, Jesus, we’re faithful, we’re good, we’re not perfect, but we’re better than the Romans and their leadership; better than murderers; better than the Galileans, better than those who waste their money; better than the people who brought a tower down on their head; better than the violent. It’s a tale of two trees. There’s something universal about looking down our noses at other people. If we’re willing to confess, we’re all guilty of this. I certainly am. There are people, even friends of mine, whom I’m guilty of looking down my nose at. Why don’t they get their act together? They need to support their families! They need to stop feeling sorry for themselves. They need to recognize that they’re taking more out of life than they’re putting in. We’re called, as Christians, to give more than we take. Why don’t they see that?! I’m guilty of this sin: the sin of superiority. I dare say we all are. There’s something universal about that sin. This desire for superiority is certainly what the people in the crowd are exhibiting: look at how we’re superior to these other people, Jesus! Check us out. Don’t you think we’re better? They want Jesus’s approval, they want his affirmation, based on their deeds, based on their righteousness. And don’t we all? We get raised from a young age to think that what we do determines our value. Get good grades in school, thereby proving yourself to be of worth. Do good in sports and be involved in all the things, thereby proving your abilities. When we start working, our value in a job is based on our performance. Demonstrate your worth by building up sales, buying up more land, purchasing more businesses, handling more cases, or by growing the church. And then, we get scaled based on how we perform compared to others. Are we the best business person in town? Are we the best law enforcement official? Are we the best nonprofit manager? Are we the best lawyer or judge? Are we the best pastor? In such a ranked world, one where our rankings within our jobs and our families determines our worth, we go looking for some affirmation, some justification, to demonstrate that we’re worth something, that we matter. The crowd goes to Jesus looking for it: aren’t we the best, Jesus? Aren’t we great? It’s no different than if we feel a certain superiority for being here this morning, because we’re a church going people, compared to those who don’t go to church. If so, we’re just like the crowd: aren’t we the best Jesus? Aren’t we better than those folks over there? Those folks who don’t go to church? Such is so common. We’re all in competition with each other. And we’re not unique. All of us in this room have felt something like this within our jobs. Are we the best business person? Are we better than our fellow Rotarian? Are we the big guy in town? And even within our families: are we the favored child, the favored parent, the one that matters the most? Are we the best leader, whether in context of family or business or town or elsewhere? We all want to be the big fish in the small pond. Are we that person? We desperately need someone to tell us it is so. Because we need a measuring stick to determine our self-worth. On my old property, I cared about those two trees equally. One required more work, and I gave it all the attention I could. I spent time reading about taking care of trees, how to help them grow and prosper to be the best tree they could be. The other tree I gave less thought to, but I cared about them both equally. I wanted them to be the best peach and maple tree they could be. So it is with this farm. The farmer is frustrated by the tree that won’t grow, but the gardener wisely says, “let’s give it every opportunity to grow and flourish.” The tree that’s causing the most trouble is still valued, still desired, still worthy. The tree is still worthy. It might need extra attention, but it’s still worthy. 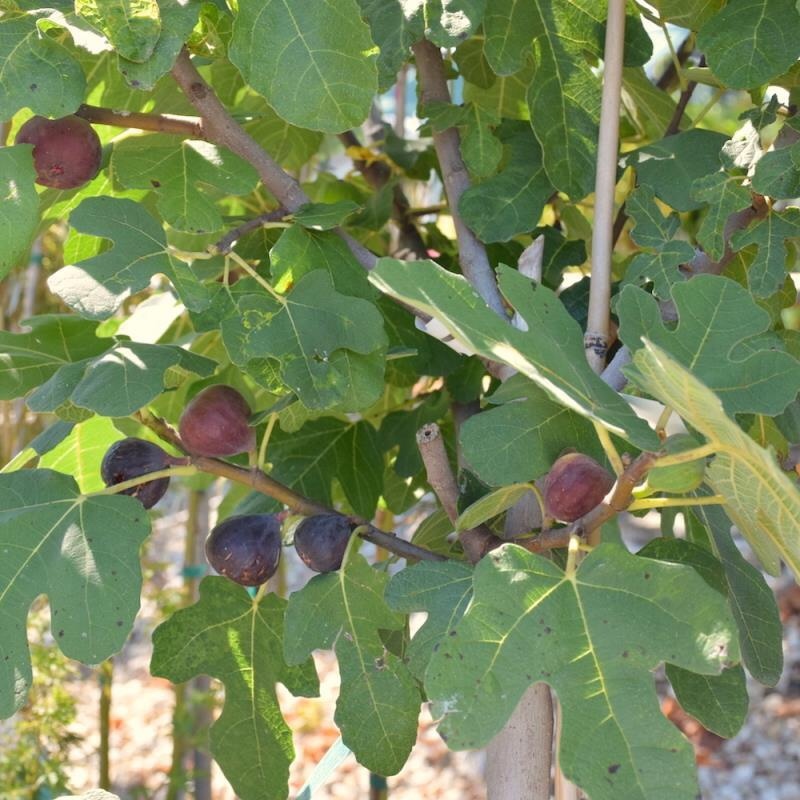 The other trees still get attention, but they are not valued more highly because they’re better at producing figs. They’re fruitful, but the farmer hasn’t given up on this unfruitful tree. Just as God hasn’t given up on the good for nothings. There’s a double meaning with this manure: the farmer won’t give up on the tree and God won’t give up on the people whom we might think of as….manure; the people the greek word references. God will give them every chance to grow and blossom into the person God has called them to be. God values all the trees on the farm. We are all equally worthy. Salvation is by faith alone, not by works. We can’t earn our way to heaven. There’s no higher rung that we can place ourselves upon because we’re holier than others. We’re all sinful, we’re all in need of repentance, we’re all in grave need of the unconditional love of God. There’s an equality to us in that we’re all human, made in the image of God. Some of us make better use of the gifts God has given us to help us grow and blossom into the person we’re called to be. That doesn’t make us holier, it doesn’t make us better; no, if we’re living our lives truly in faith, we should be all the more aware of our equality with everyone; of how equal we are to the murderer, the drunkard, the person who threw her life away, the cheat, the liar, and the thief, because we all stand in need of God. Increased depth of relationship with God should, in increasing measure, wipe away any superiority we have. That’s the tale of two trees. One tree might seem less worthy, less valuable; but in God’s eyes, they both are of equal value. We are all of equal value. We are all worthy. But we’re all prone to the sin of superiority. In some ways, we can’t help it. From an early age, we’re trained to prove our worth by being better than others, by being the best. So what are we to do about it? First, we confess that we are guilty of the sin of superiority. If we think we’re better than the murderer or the thief or the adulterer, we’re guilty of the sin of superiority. Let us confess that, beginning this morning. Second, make a regular habit of church attendance, not to feel superior or better about yourself for having gone, but because church has a powerful way of making us all equal. It also serves a powerful purpose of reminding us that we are worthy of God’s love, no matter what we’ve done, no matter how we’ve lived our lives, no matter if we’re like that Greek word for manure, no matter what. Too many of us allow other priorities to overtake church on a regular basis. Church seems like the easy thing to give up when priorities conflict or when we’re just feeling worn out. But if we think of church in that way, we do not really understand it’s power. Church has less to do with programs and social gatherings and the like. Those are good, and those are fun, and they have their place, but church’s power is in encountering the Holy Spirit in our lives powerfully through worship, small groups, and community. It’s at church, more than anywhere else, that we discover who we are and whose we are: beloved of God, of sacred worth. If church doesn’t feel that way for you, doesn’t have that impact, the question is not whether or not the worship is good or whether or not we have the right programs. The question is the state of your soul as you come to church. When you come to church, are you open to hearing and experiencing what the Holy Spirit has for you? After you have confessed to the sin of superiority, or after you have embraced your sacred worth, then make a more regular habit of church attendance. Shoot to be here at least twice a month. Third, go and give someone the help they need, just as the farmer gave this tree help. There are people in your life, like this tree, who need a second chance. There are people in your life, like this tree, who need financial assistance, again. There are people in your life, like this tree, who need you to bring your fruit, your gifts, to work for them, one more time. There are people in your life, like this tree, who need Christ in you, the hope of the world, so Christ can be in them. Go to those people, again. Give them the help they need. The manure might represent those who have thrown away their lives, but the manure also represents a second chance: it’s God’s gift to help this tree, one more time, for God gives many chances. And so should we. This morning, if you recognize the sin of superiority in your life, come to the rail and confess that sin. Or, if you have lived your life feeling you’re unworthy because others are better than you, because you’ve never quite lived up to the standards set for you, or because of sin in your life, recognize that you are just as valuable to God as the most righteous person you can think of. God is tending to you, like this fig tree. Come to the rail and accept God’s love that’s offered to you right now. Then, no matter where you find yourself, go, and give yourself to others, give them a second, third, fourth, fifth chance. Go and reconcile. Go and give of yourself. You can do it because it’s here, at church, that we find the power of the Holy Spirit to embrace those we consider unworthy. For it’s here, when we make a regular habit of being here, that we discover we are of tremendous, sacred, worth.